AIE is a leading provider of asset integrity services which improve operational reliability, safety and asset protection whilst at the same time helping to maximize plant performance and mitigate the constant challenges and hazards facing heavy industries such as Oil and Gas, Power Generation and Nuclear. We are an independent body with no ties to supply companies or proprietary services and products. This independence allows our asset integrity specialists to make unbiased and forthright decisions to ensure that equipment is designed, maintained, operated and decommissioned in a responsible manner which complies with industry’s best practices. 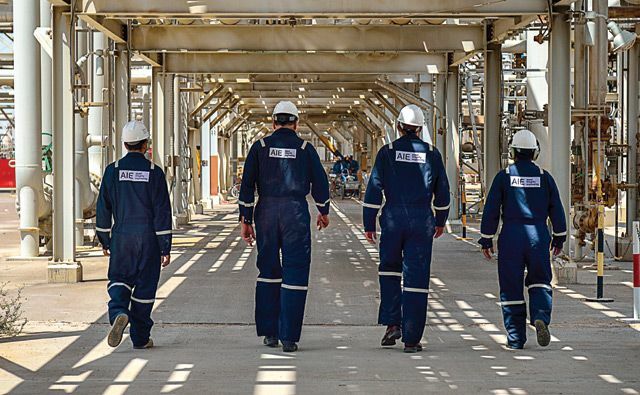 AIE has a reputation for setting the standard in operational integrity and engineering excellence, and employing our services sends a clear message of responsibility and quality to stakeholders. Our ability to exceed client expectations can be attributed to the professional excellence of our staff, and our ongoing focus on improving our internal systems and services. Leading, developing and educating the market we serve. Delivering quality, safe, reliable, innovative and efficient services to our clients. Impartial, honest and transparent engineering services. Valuing and respecting human rights no matter what culture or background. An engineering barrier to protect life, property, business and environment. A market-leading innovative service which utilizes latest technology and learning. Value to our client’s business through enhanced reliability and reduced production downtime. A safe and positive work environment with development opportunities for all our staff.